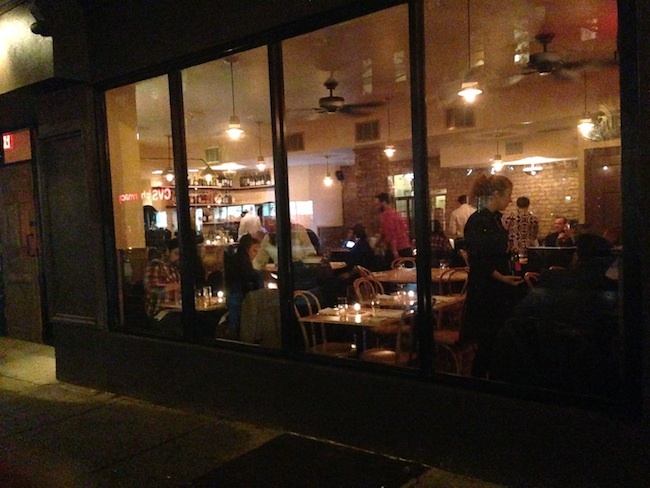 Pete Wells at The New York Times raves about Dover, the second restaurant from chefs Joseph Ogrodnek and Walker Stern of Smith Street’s critically-acclaimed Battersby, and gives the restaurant two stars. Dover, located on Court Street at the corner of 1st Place, practices seasonal cuisine “fluently and charmingly,” Wells writes, and portions are not awfully austere. The chefs “do not cook for hummingbirds,” Wells writes. “You never get the sense that Mr. Ogrodnek and Mr. Stern are grandstanding. They are cooking to please, whether they are carefully balancing the lemon juice and cream in an artichoke sauce for black sea bass or trying to inject luxury into the buckwheat served with a terrific duck breast that has a filet mignon tenderness,” Wells continues.